India is said to be a land of wonders, miracles, many religions, cultures and variety of landscapes but one thing in common is we are proud of being an Indian. Our country has a long history with many regimes ruling this vast region in the past. Every regime left their mark on the Indian culture. Festivals are the inseparable part of our culture and they bring colors and charm to our lives. Many times these festivals are celebrated by crossing the barriers of religion cast and creed. Raksha Bandhan or Rakhi Purnima is the Hindu festival celebrated on the full moon day of Shravana. It is known by the name of Kajari Purnima in North India. Rakhi is a sacred thread tied by a sister on the wrist of her brother, requesting to protect her during difficult situations. This fastening of Rakhi on the brother’s wrist symbolizing request to protect his sister is known as Raksha Bandhan. Sisters perform 'aarti' and apply tilak on the forehead of her brother. In return brother gives her a gift and an assurance to protect her. The thread of Rakhi which binds the love and affection of a sister is supposed to have more power and strength. It signifies the beautiful brother-sister relation with an unbreakable bond of trust and love. This festival also signifies that we should try to coexist in a harmonious way forgetting our differences, religions and castes. We must give importance to the only religion called humanity. In our everyday life we must be cooperative, helpful and kind towards each other. This festival celebrated throughout the country differs a bit from place to place but the basic thought behind it is the same. There are many legends related to Raksha Bandhan. One of the most popular stories is that of Rani Karnawati and emperor Humayun. When Rani Karnawati, the widowed Rajput queen of the king of Chittor, realized that she could not withstand the invasion of Bahadur Shah she sent a Rakhi to emperor Humayun. The emperor in response rushed with his troops to defend Chittor's pride. There are other legends like legend of Lord Krishna and Draupadi, King Bali and goddess Laxmi etc. Raksha Bandhan 2012, will be celebrated on 2nd of August 2012. In Mumbai, rakhi festival is called narial purnima or coconut full moon while the keralites call it as avani avittam. The rituals and way of celebration differ from region to region but the spirit of the festival is observed everywhere in the country. In modern times the rakhis changed their appearance. They are commercialized by the businessmen offering multi colored and multi design rakhi. The cost of the rakhis in present times ranges from a few rupees to even thousands of rupees. The Rakhis and rakhi gift Ideas includes sweets, chocolates, rakhi with message, rakhi cards, and raksha bandhan gift hampers. On the onset of Raksha bandhan the streets and shops of Mumbai and many major Indian cities are loaded with beautiful rakhis. On the occasion of Raksha Bandhan special food like khewar is prepared. 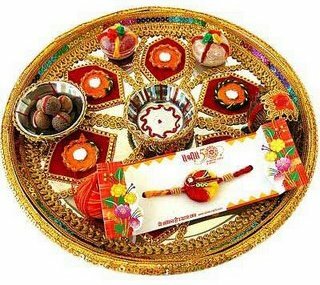 Rakhi 2012 is round the corner, and like every year sisters and brothers are excited to get the best rakhi gifts for each other. The variety includes from simple dori rakhi to fancy rakhi with stones, beads, zardoshi and exotic Gold and Silver Rakhis. We provide information on many interesting topics in our articles and Magic holidays our most talked about holiday package provide great holidays for a period of 25 years. Everyone likes the monsoon season and many of us love to enjoy the first showers of the season. After the scorching summer season we are eagerly waiting for the first showers of the monsoon season to arrive. Southwest and the northeast monsoon are the two monsoons of India. Monsoon season in India first hits the Kerala coast in south India. It starts from south west India and proceeds further covering the whole country by June or maximum July. The southwest monsoon usually ends around October/November. The northeast monsoon is a separate monsoon that rains on the East coast. This in short means that the rainy season is observed in different months at different locations in India. Monsoon time can be a great time to visit India as tourist attractions aren't crowded, airfares can be cheaper and bargain rates are up at hotels throughout the country. 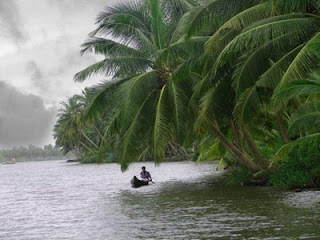 Many of the Indian destinations are popular for heavy or record rains in the country and the others offer a glamorous monsoon season. Darjeeling and Shilong in the eastern Himalayan region is the wettest area in the world. Travel to this region should definitely be avoided during monsoon time. Let us view the monsoon season from the traveler’s point of view. Travelling in monsoon season may not be that much comfortable as the summer and winter seasons. 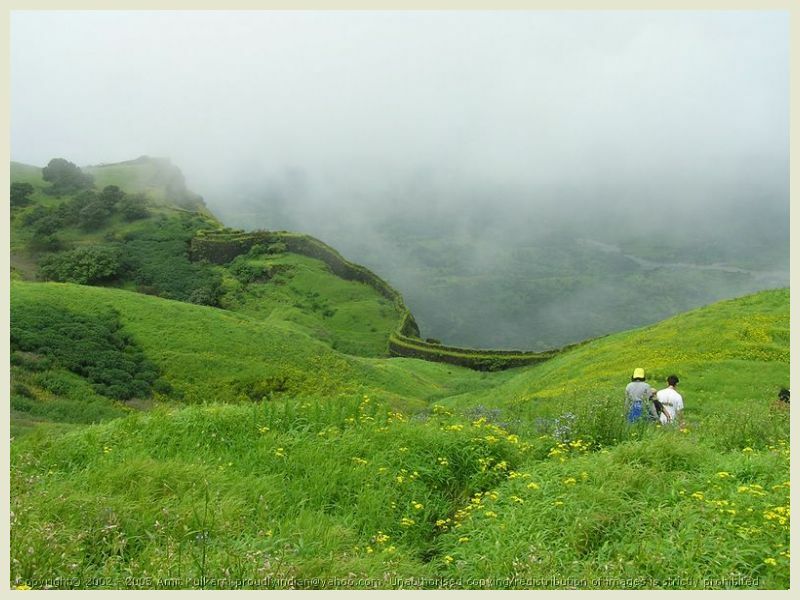 But traveling in Monsoon provides the pleasure of getting immersed in nature’s bounty and viewing the wonderful colors on display. Let us get some tips on monsoon trips and know what care should be taken while traveling in this season. Monsoon can affect public transportation and it can affect your travel plans also. Long distance trains can run late from the scheduled time, even some train services might be cancelled due to flooding. Flights also can be cancelled or delayed. So while traveling during monsoon you have to carry sufficient stuff of eatables or other necessities in case you get held up during travel. Travelling by air can be more advantageous as the delay in reaching your destination by air is comparatively less. Also during monsoon the flight tickets are cheaper. If you are travelling by plane start earlier to reach the airport since you may get delayed because of traffic jams due to heavy rains. Synthetic Clothes are the best option in rainy season as they dry out quickly. Keep extra clothing while travelling in rainy season and rainy shoes are advisable. Carry a first aid kit containing disinfectants and remedies on monsoon disorders. Since there is a chance of getting affected by one of the monsoon health hazards, try to avoid eating unhealthy food at railway stations or eatables from unauthorized vendors. Intake easily digestible food and drink bottled or boiled water only. Smallest indication or symptom of a disease also should be taken care of. Keep informed your close relatives or friends about your complete schedule of travel and keep in touch with them during your travel so that they will be aware of your location. Keep an eye on the weather forecast and predictions.